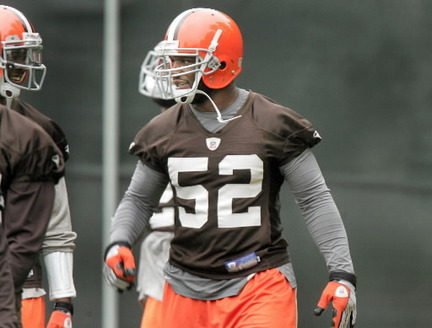 The Browns today inked veteran linebacker D’Qwell Jackson to a multi-year contract extension. Reports say that the deal is for five-yeas worth $42.5 million. $19 million of it is guaranteed. A veteran of six NFL seasons, Jackson returned to the field in 2011 and started all 16 games at middle linebacker after missing the previous 26 consecutive regular season games due to two separate pectoral injuries. Last season, he led the AFC and ranked second in the NFL with 158 tackles while setting a career-high with 3.5 sacks. Jackson also posted three defensive fumble recoveries, a figure that tied for the AFC-lead and tied for second in the NFL. 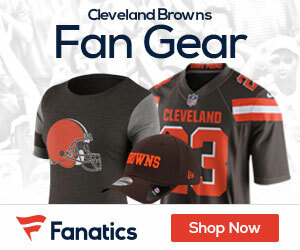 He also notched one interception, one forced fumble and three passes defensed as the Browns defense ranked 10th overall. Jackson was named AFC Defensive Player of the Month for September, voted as a first alternate middle linebacker for the AFC Pro Bowl squad and was honored as the club’s recipient of the Ed Block Courage Award. He finished second in the voting for NFL Comeback Player of the Year Award behind Detroit Lions quarterback Matthew Stafford. Retain good FAs first and foremost . . . glad D’Qwell is part of our team for the foreseeable future . . .